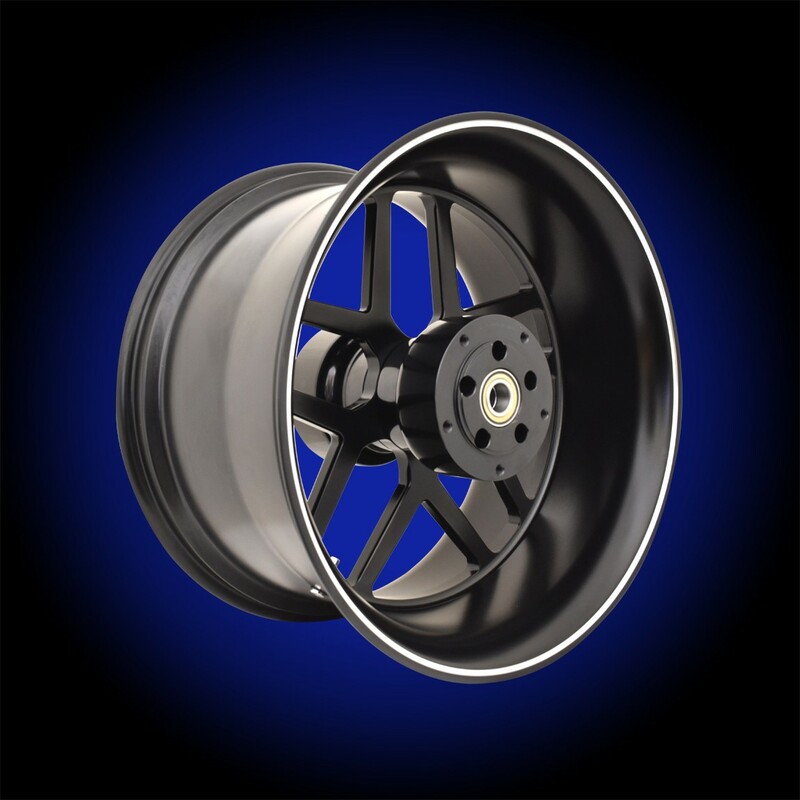 For 2007-2017 Vrods we make replica wheels in larger sizes to accommodate our 300 widetire kits and up to 26" front wheels. 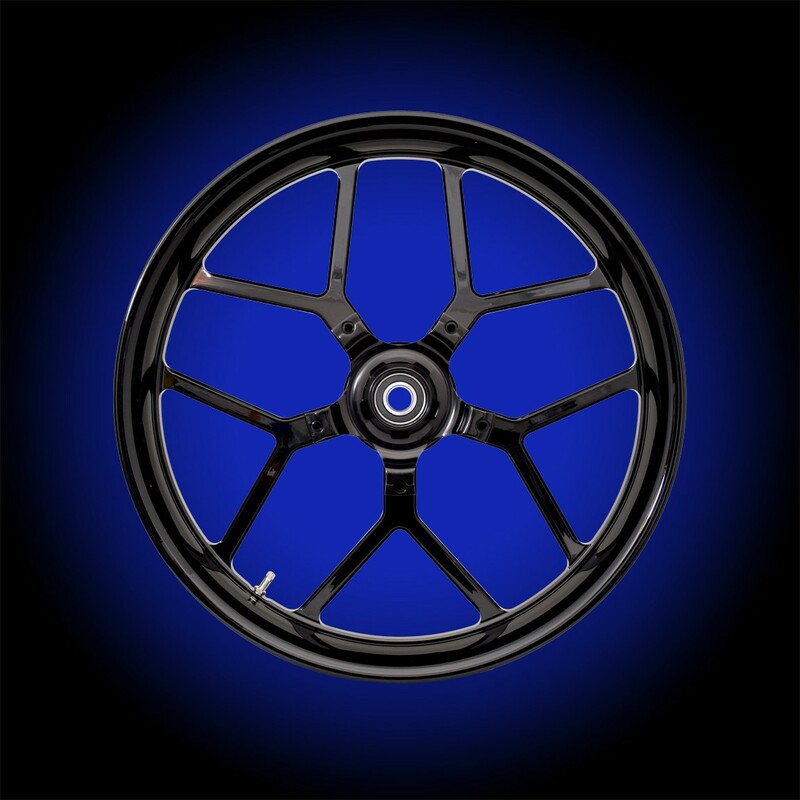 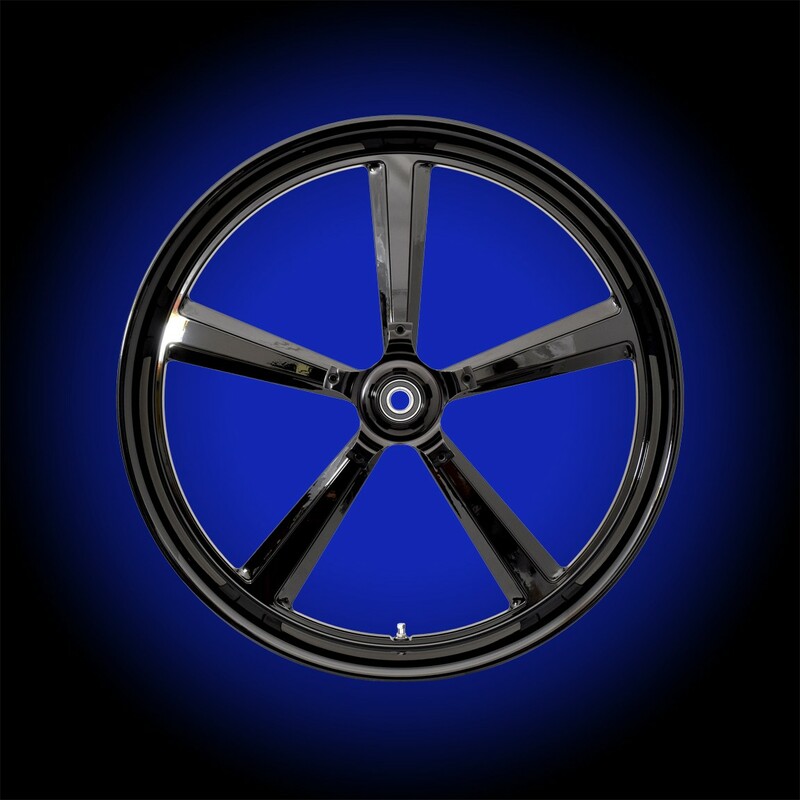 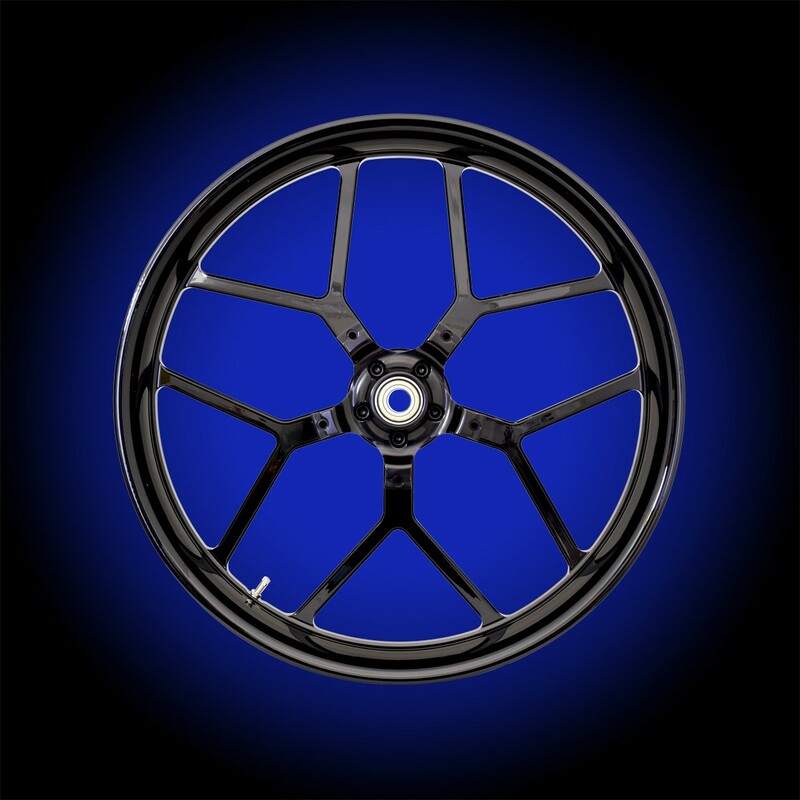 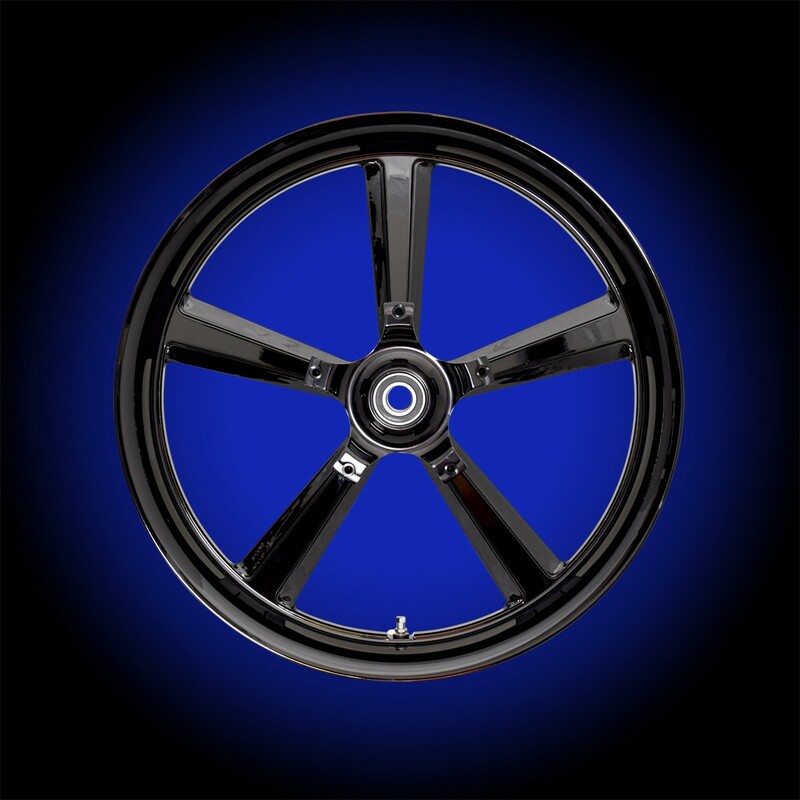 We make a "Slot" style which matches the stock wheels on Nightrod Specials from 2007-2011, "Split" style which matches stock wheels on 2012-2017 Nightrod Specials, and "Muscle" wheel which matches all Vrod Muscle models. 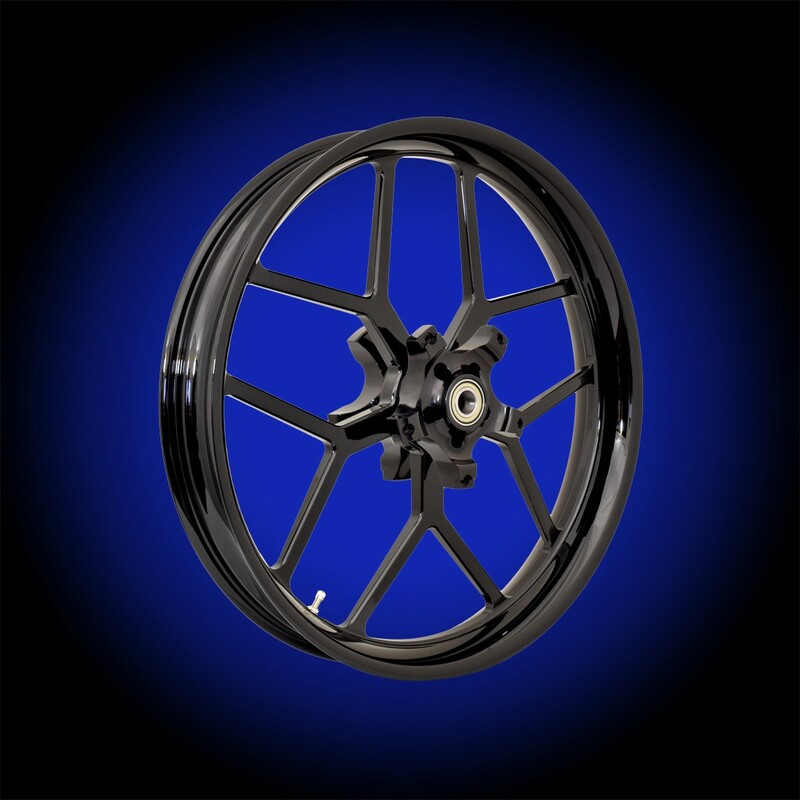 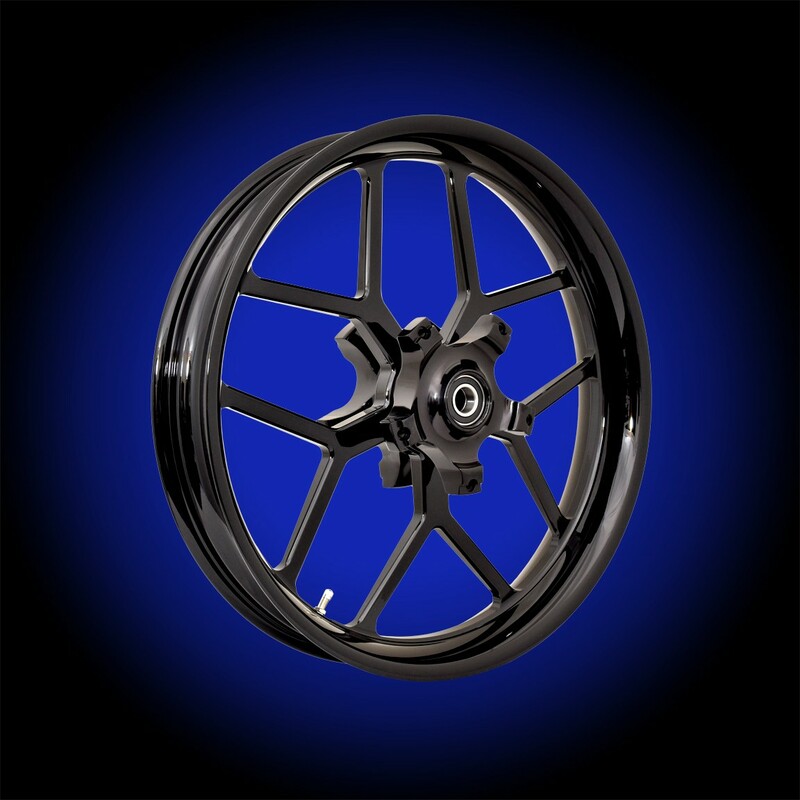 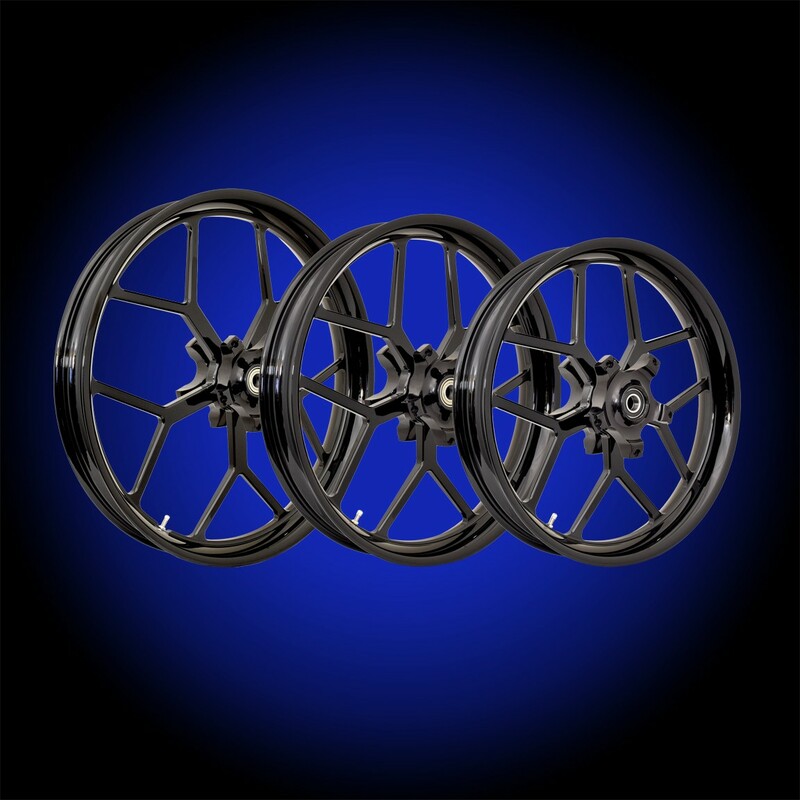 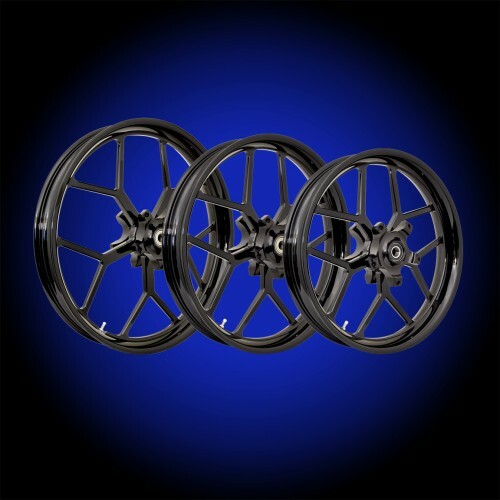 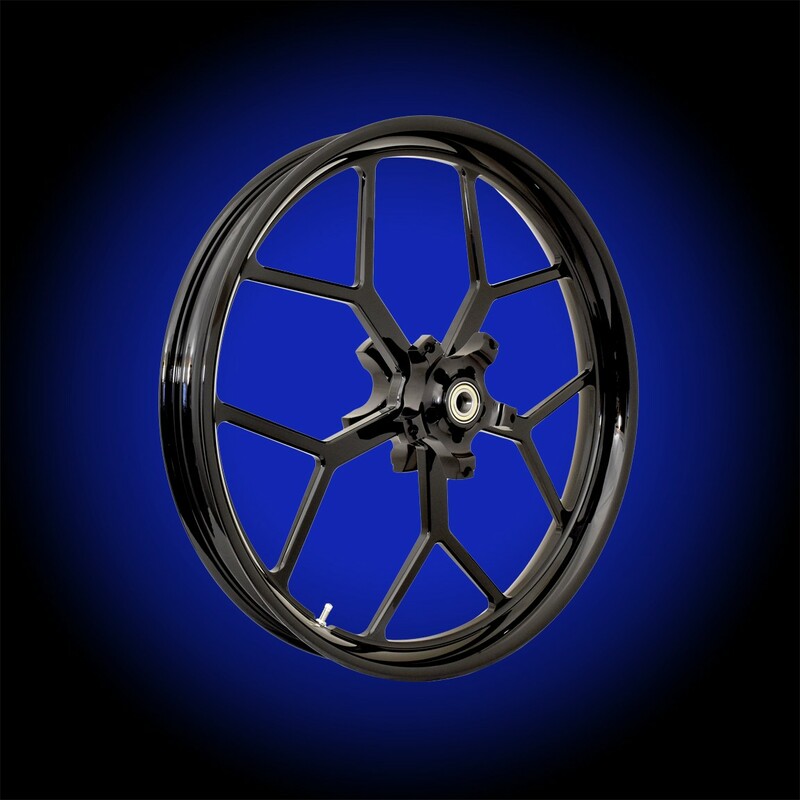 Our 18 x 10.0" rear wheels are setup to use your stock pulley and rear rotor for our 300 widetire swingarm kit. 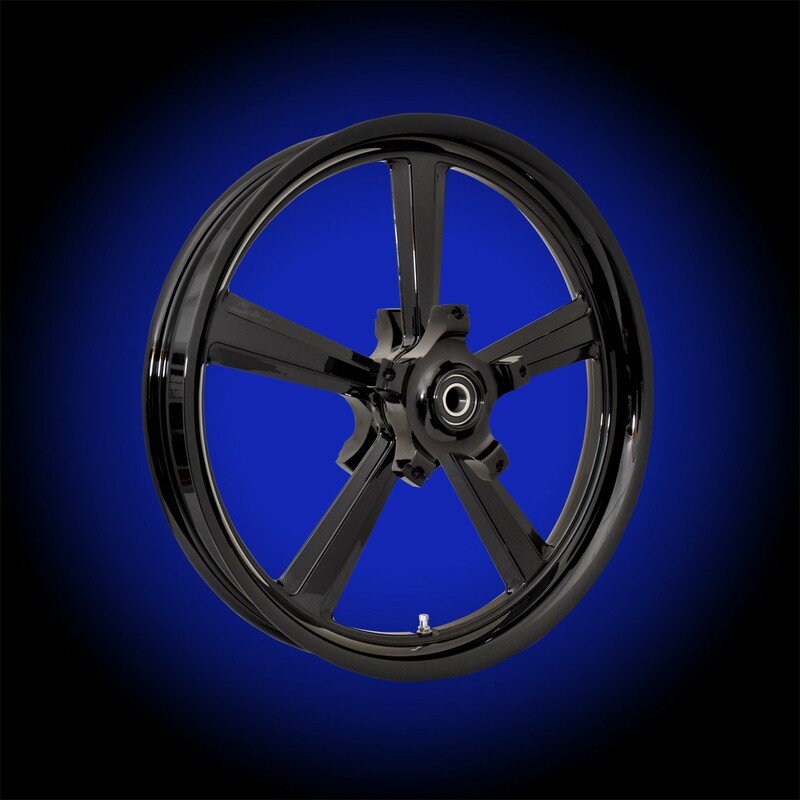 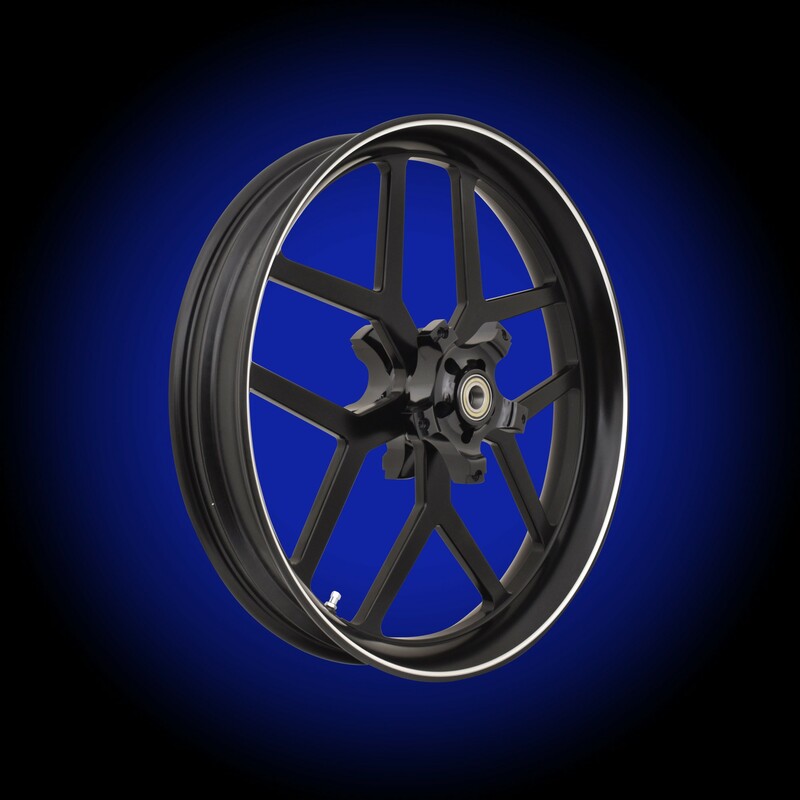 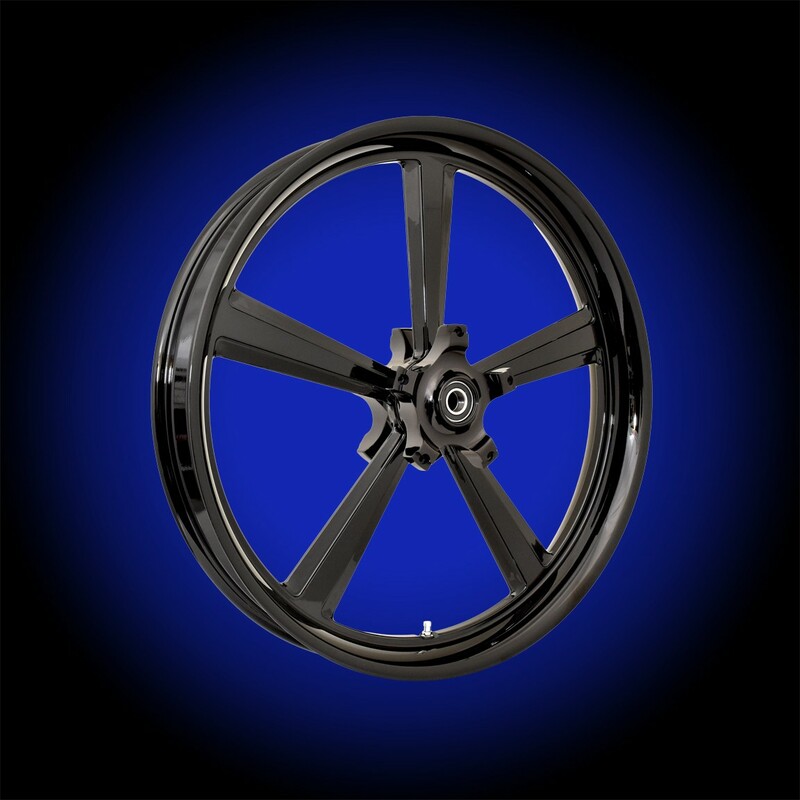 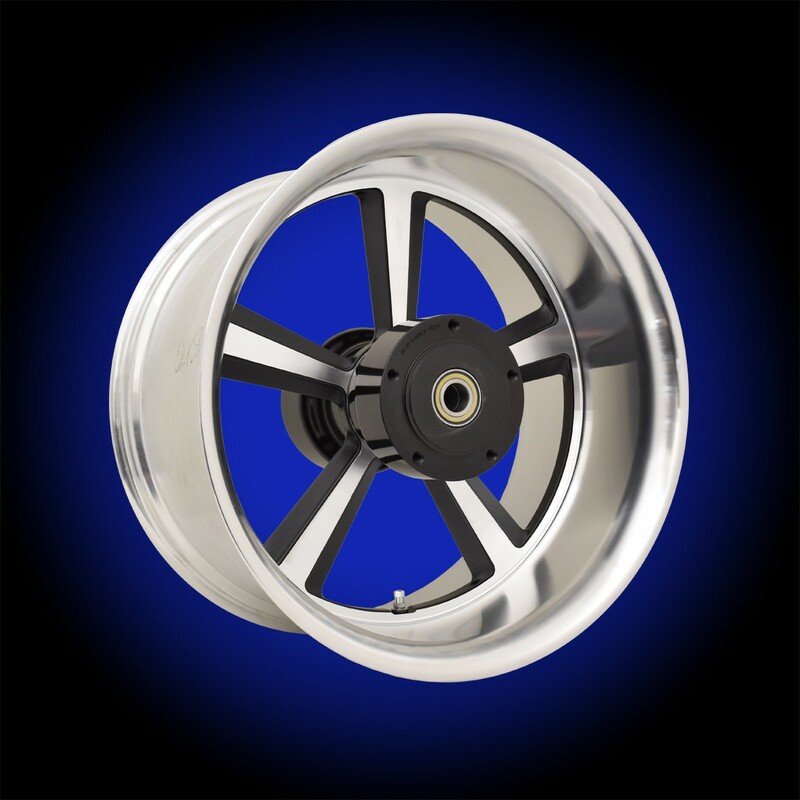 The front 21-26" wheels have a built in hub that accepts your stock front brake rotors on the wheel. 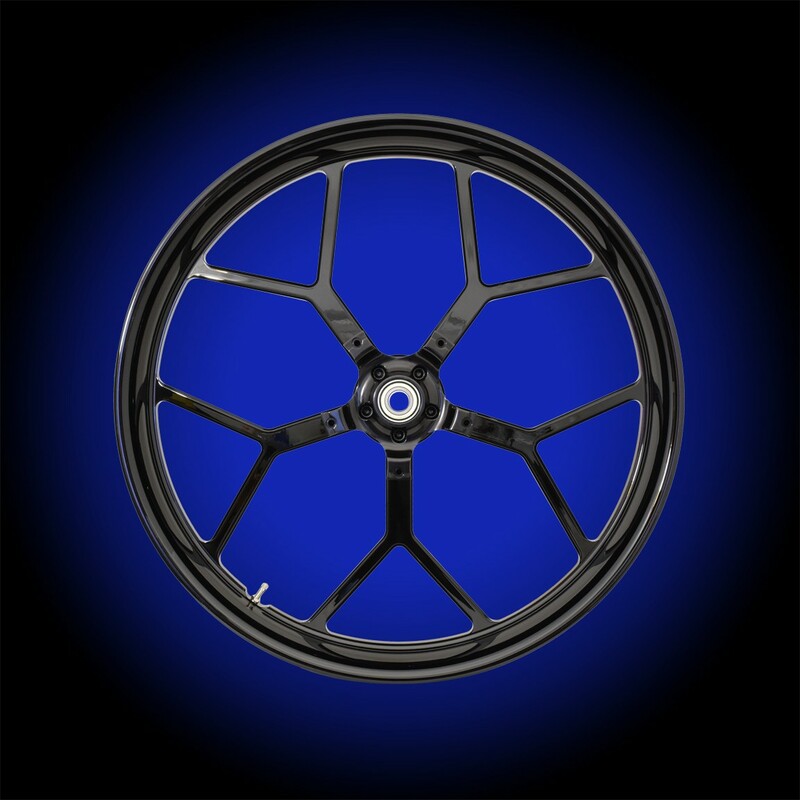 ABS bearings come included if you bike has ABS. 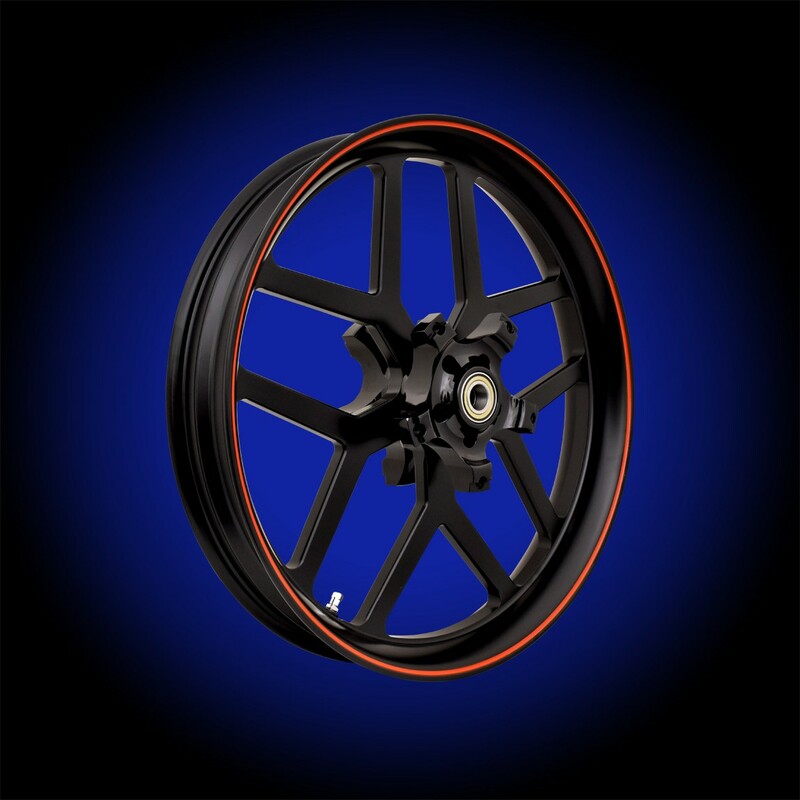 Available in all gloss black, all matte black, matte black with orange pinstriple, matte black with silver pinstripe, and chrome finishes.